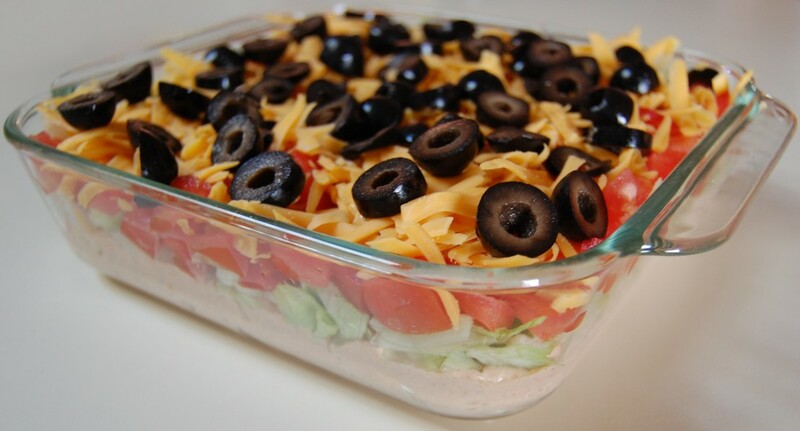 A wonderful dip for any occasion. Serve with baked tortilla chips. In a large bowl combine softened cream cheese, sour cream, salsa and taco seasoning, mix well with an electric mixer. Spread on the bottom of an 8x8x2-inch glass dish. 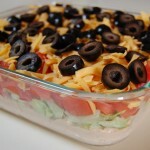 Top with shredded lettuce, tomatoes, shredded cheese and black olives. Serve with baked tortilla chips. Cook's Note: Also great topped with jalapeños, scallions or avocados.